After visiting the Rheingau (read here and here), I was excited to see a few producers in the Rheinhessen region of Germany. Both areas border the Rhine River with the Rheinhessen east of the Rheingau. It's a land of rolling hills, not as dramatic as that of the Rheingau, but the wines are often as splendid. The first estate I visited was Weingau Landgraf in the town of Saulheim; Andre Landgraf is the owner/winemaker. Riesling, as you might expect, is the principal variety, representing 40% of the plantings; however Pinot Noir (12%) and Weissburgunder, a.k.a. Pinot Blanc, (also 12%) are important as well. The regular 2013 Riesling Trocken is a delight with tropical fruit and apricot aromas, very good acidity and depth of fruit and ideal balance. This has beautiful ripeness and a slight lushness- all of this for just under 7 Euro a bottle, a marvelous value (unfortunately, these wines are not imported into the United States at present). What's great about the under 7 Euro price range is that a similar wine from the Rheingau costs 10 to 12 Euro a bottle; it may or may not be of better quality. One of the individuals that accompanied me to this tasting was my friend Gerhard Eichelmann, who is the publisher of one of Germany's most thorough wine guides. He pointed out the price difference and value in this wine as compared to a version from the Rheingau; he was delighted with the wine, as was I.
I asked Eichlemann later at lunch about the image of the Rheinhessen compared to that of the Rheingau; I wanted to learn why the Rheingau is so much more famous - and hence is the home of more expensive wines. His answer was a revealing one, that this went back to the days of Queen Victoria, who greatly enjoyed a glass of "hock" (or hoch) wine, named for the town of Hochheimer in the Rheingau. The association was a strong one and Rheingau gained a good deal of its popularity from this. Two other notable wines at Landgraf - also priced just under 7 Euro a bottle - were the 2013 Weissburgunder Trocken and the 2013 Grauburgunder (Pinot Gris) Trocken. The former is a well made typical version of this variety, with apple peel, chamomile and lilac aromas, while the latter is even more impressive, with enticing aromas of papaya, red apples and green tea. This has excellent complexity and first-rate varietal purity; this will drink beautifully over the next 2-3 years and is a wonderful value! I tasted only a few examples of Weissburgunder and Grauburgunder while in Germany, but was impressed with the results - perhaps the German producers should look more deeply into planting these varieties. Then it was on to the single vineyard wines. We tasted several with the best being the 2013 Riesling Schlossberg as well as the 2013 Riesling Holle. The former displays aromas of apricots and golden apples along with a note of honey; offering excellent depth of fruit and persistence, this has beautiful varietal purity and should drink well for 7-10 years. Note that this wine is a Trocken - a dry wine. One of the things that Eichelmann wanted me to remember is that dry German wines age beautifully; everyone know about the sweet wines, but the dry wines from the best sites and years are also excellent cellar candidates. This is an outstanding wine! The Riesling Holle is also an impressive wine, although in a different style than the Schlossberg, as this is a warmer site. Thus the wine has riper fruit with slightly lower acidity, although the acid levels are fine in this wine. This is a very elegant Riesling that should be at is best in 5-7 years. Getting back to aging potential for dry German wines, Andre was kind enough to open a 2006 Riesling Schlossberg Trocken that displayed aromas of dried pear with a hint of pineapple and yellow peaches. This had a rich mid-palate and excellent concentration with marvelous balance; look for this wine to drink well for another 10-12 years. Yes, dry German wines can age extremely well! Then it was on to visit Andre's brother Johannes at Weingut-Becker Landgraf in the town of Gau-Odernheim. The best wines here are labeled with the J2 marque, this signifying Johannes and his wife Julia, who is a large part of the success at this estate; the home page of the website mentions how these two work in a "joint relationship and decide jointly what is good for us and our wines." We tasted so many impressive wines here- this was a true highlight of my trip in Germany. Again, I loved several wines other than Riesling; especially nice was the 2013 Weissburgunder + Chardonnay Trocken with its red apple, melon and lilac aromas and excellent persistence. This has very good acidity and is quite delicious! Eichelman told me before this visit that he has been recommending to local producers that they plant Weissburgunder and Chardonnay together- here was first-rate evidence that this blend can be excellent! Grauburginder and Weissburgunder are also excellent at this estate. The entry level Grauburgunder Trocken from 2013 is an excellent wine that combines very good acidity along with a distinct minerality and excellent persistence - this is a lovely wine. Even better is the 2012 Weissburgunder "Muschelkalk" - this term refers to the limestone soil that vines are planted on. Offering excellent depth of fruit and a ripe, lush approach, this is a stylish wine that should drink well for 7-10 years. Landgraf also produces Pinot Noir - this grape is known as Spatburgunder in Germany - and this is an important part of his production. I tasted three examples and had positive notes on each of them, with the most impressive being the 2010 Spatburgunder Roensberg, made from a single vineyard. Displaying a beautiful garnet color with aromas of caradmom, dried cherry and a hint of soy sauce, this has a rich mid-palate and excellent complexity. My experience with Spatburgunder is rather limited, but I have tasted some nice examples with good varietal character, but none like this. Burgundian-like, this has impressive persistence and well as varietal focus; I estimate this being in peak condition in 10-12 years; this wine is a wonderful example of the quality level of German Spatburgunder! My final visit in the Rheinhessen was at Weingut Hofmann in the town of Appenheim. Proprietor Jurgen Hofmann is a very engaging individual and you sense from being around him for even just a few minutes that he is a curious man, one who wants to learn and experience a lot. That is certainly reflected in his lineup of wines, which is one of the more varied I've seen from a German producer. Riesling is offered, of course, but there's also Scheurebe, Weissburgunder, Gruner Silvaner and most interesting for my tastes, Sauvignon Blanc. 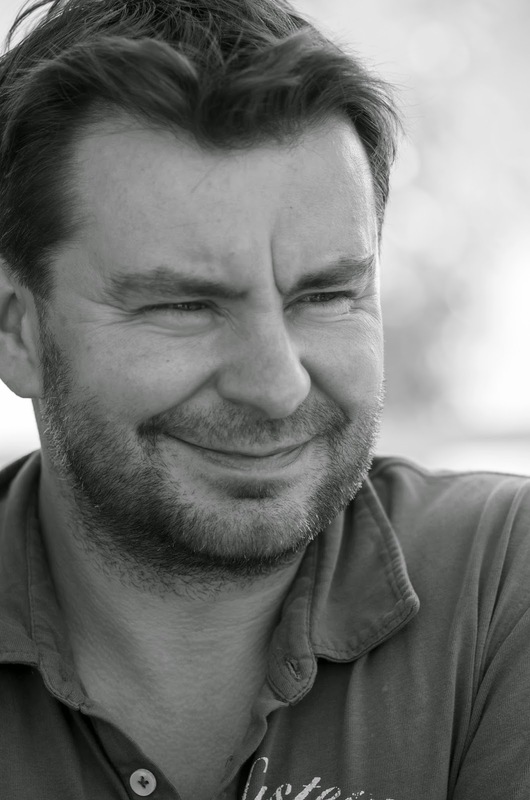 "I keep telling German producers to plant Sauvignon Blanc," Hofmann told me. "We have the perfect climate." I sampled two examples of Hofmann Sauvignon Blanc, each being quite expressive. The 2013 Trocken has classic cool climate aromatics - gooseberry, papaya and green tea - and lip-smacking acidity. This is a lovely wine with bright fruit and a nice combination of zingy acidity and varietal spice; I couldn't help but think of Marlborough Sauvignon Blanc from New Zealand and that's quite obviously the intention of Hofmann here, as he has given this wine the nickname of "the little kiwi", complete with a cute illustration on the label. The 2012 Sauvignon Blanc "Laurenzikapelle" is even better, this one richer on the palate with a longer finish. The aromas here vary from the above wine, displaying notes of spearmint, melon and green tea; medium-full this has brilliant complexity and varietal character. This is a seamless wine, one in which all the components work beautifully together. I truly had no idea that there were examples of Sauvignon Blanc from Germany that tasted like this. This was one of the two or three best wines I sampled during my time in the country's wine regions. So a wonderful time in Germany, exploring the tip of the iceberg, so to speak, in the Rheinhessen and Rheingau. I will return soon, most assuredly. My thanks to Gerhard Eichelmann for his insight and for helping arrange my visits in the Rheinhessen. Also a big thank you to Marc Buth and his wife Josefine for their hospitality and graciousness as well as their help in organizing this trip. This is part two of my report on my visit to the Rheingau in early July; part one dealt with Georg Breuer and Leitz. This post is about my time spent touring and tasting wines at two other celebrated estates, Weingut Robert Weil and Weingut Staatsweinguter (Eltville). Weingut Robert Weil, located in the town of Kiedrich (very near to Eltville) is regarded not only as one of Germany's greatest wine estates, but also one of the world's. 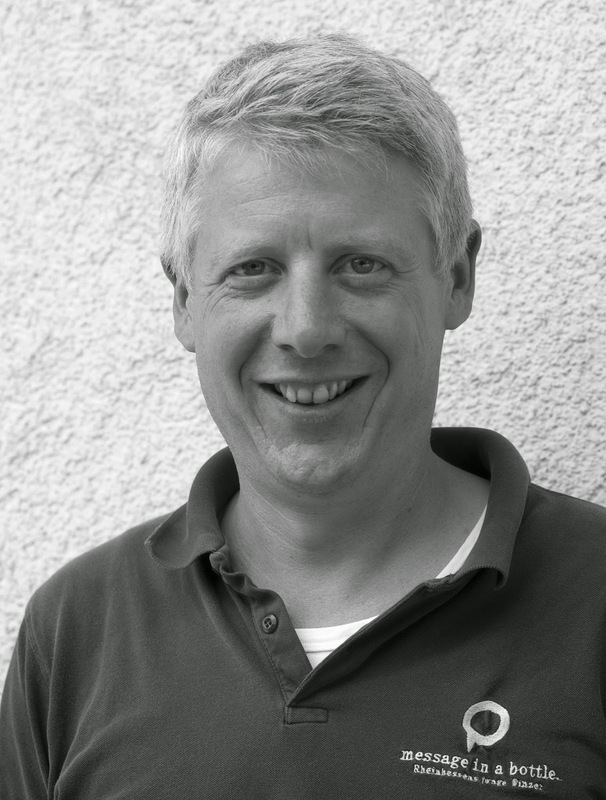 In his book Deutschlands Weine 2014, author and one of the leading authorities on German wine, Gerhard Eichelmann lists Weil as only one of four wine estates from the Rheingau as a five-star producer (his top rating). (Eichelmann also rates Leitz and Georg Breuer - two producers I profiled in my previous post - in the same category; the only other Rheingau five-star producer in Eichelmann's book is Weingut Peter Jakob Kuhn). This was my first experience with the wines of Robert Weil and it didn't take long for me to understand the reason for the high praise. Every wine here, from the basic Riesling to the most exquisite single vineyard offering, is beautifully made with great varietal purity. There is a definite thumbprint with these wines, as they all feature bright fruit with very good acidity- these are vibrant wines. Yes, the style is quite high tone in nature, so that approach is a winning one with both consumers and many critics, but I mention this if only to explain some of the appeal of the wines. 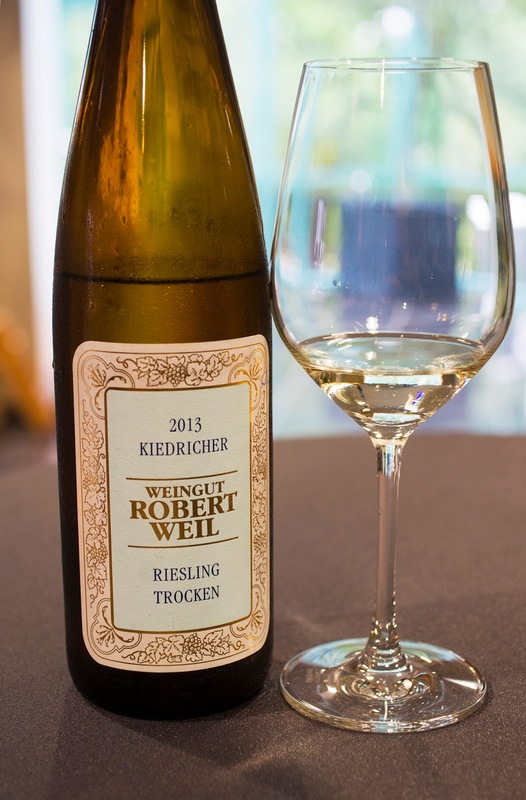 2013 Riesling Trocken - This is the entry level wine at Weil; it is categorized as a gutswein (the winery brochure lists this category as "corresponding to the domaine"). Made entirely from Riesling from a few of their best single vineyards, this has delicate peach and apricot aromas with very good acidity - a hallmark of the cool 2013 vintage, one that German winemakers are delighted with - and balance. This actually has just a slight touch of sweetness, but you'd never notice it, when paired with roast chicken or a similar dish. Very tasty and a fine introduction to the Weil style of Riesling. Enjoy over the next 3-5 years. 2013 Kiedricher Riesling Trocken - This is an ortswein, a village wine; the grapes are entirely from three of the winery's vineyards in Kiedrich. Beautiful aromas of yellow peach, kiwi and peony. Medium-full, this has beautiful varietal focus, excellent complexity and a distinct mineral note (this increases as you start to taste the more limited single vineyard wines). This is dry and will drink well for 5-7 years. 2013 Kiedrich Turmberg Riesling Trocken - This wine is an Erste Lage, a single vineyard that in this instance, the winery compares to a Premier cru (as in the classification of Burgundy in France). While the first two wines described above are fermented and aged in steel tanks, this wine is aged in large casks. The belief here is that this causes a bit of micro-oxygenation in the wines; this along with added texture from the addition of oak, increases the wine's complexity. Beautiful aromas of apricot, lilacs, lemon rind and chamomile. Medium-full with very good concentration; rich mid-palate and a long finish. Distinct minerality with a light nuttiness in the finish. Excellent balance of all components. Outstanding wine- enjoy now or in a decade. 2013 Kiedrich Grafenberg Riesling Trocken "GG" - This Grosse Lage wine is made from Weil's finest vineyard, located just behind the winery. The GG stands for Gross Gewachs, basically meaning Great Growth - think of this as a Grand Cru. GG is a relatively new descriptor for German wines to help identify the greatest vineyards in the country. Very enticing aromas of yellow peach, apricot and orange roses - it's difficult to take your nose out of the glass with this wine! Medium-full with excellent concentration; an explosion of fruit on the mid-palate. Outstanding persistence; long, long finish. Ideal harmony, great varietal purity, lively acidity and a light minerality. This wine was also aged in large casks. Outstanding wine - this may be a classic! Best in 7-10 years, though it may age longer. 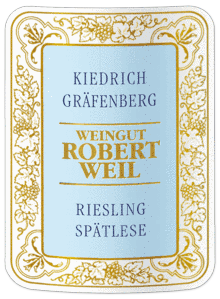 2013 Kiedrich Grafenberg Riesling Spatlese - Aged in large oak casks, as are all the single vineyard wines; Aromas of tea leaf, apricot pit, yellow peach and eucalyptus. Medium-full with excellent concentration. Long, long finish with a light, pleasing touch of sweetness. Outstanding complexity; great purity. Delicious! Lovely now - this will age for 10-12 years. 2013 Kiedrich Grafenberg Riesling Auslese - Beautiful aromas of ripe apricot, yellow peach and mango. Medium-full with excellent concentration. Rich mid-palate, with layers of flavor. Long, long finish with great persistence; moderate sweetness. Outstanding complexity and balance; this has great finesse and elegance and great varietal character. A great dessert wine! Best in 12-15 years. After seeing the glistening modern technology at Weil, it was quite a change visiting Kloster Eberbach in nearby Eltville. This site was established in 1136 by Cistercian monks, who produced wine at this facility. 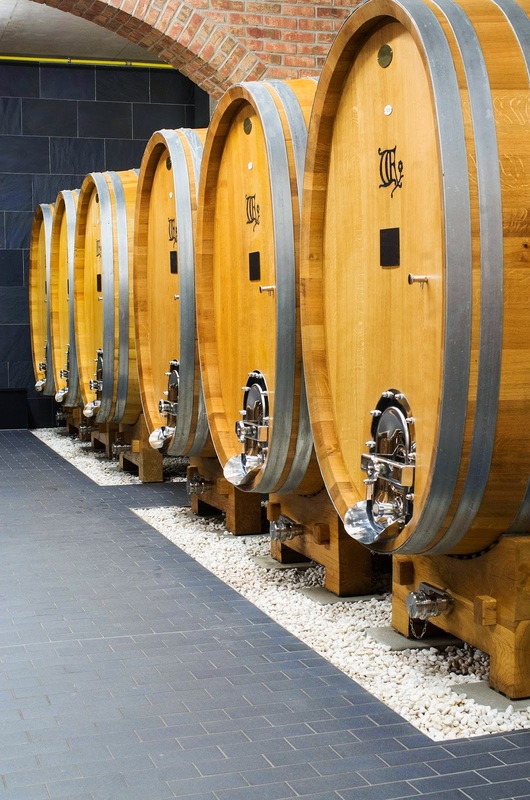 While there is a state of the art winery located not too far away, the barrels and press used by the monks for centuries are still present and can be seen on a tour of the Kloster. At one end of this property, there is a tasting room where today's wine from the Staatsweinguter can be sampled. The Staatsweinguter is the state winery; this particular one is known as Hessische Staatsweinguter, as this particular state in Germany is the Hessische (there is also a state-owned winery at Assmannshausen; this known for Pinot Noir). 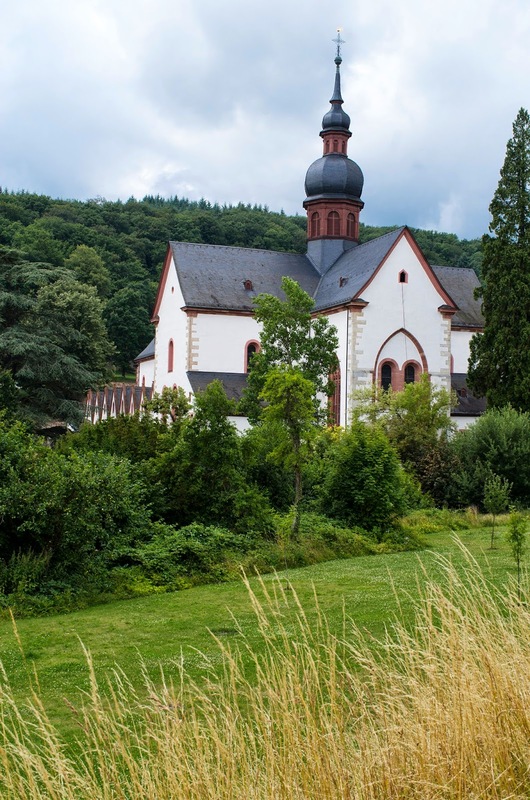 The Staatsweinguter produces wines from several excellent vineyards in the Rheingau, including Rauenthaler Baiken, Erbacher Marcobrun and Rudesheimer Berg Schlossberg, but arguably the most famous is Steinberg, close to the Kloster Eberbach. To say this vineyard has a great deal of history would be an understatement - it was planted in 1239! In the 18th century, walls were built around the vineyard to protect the vines from wild boar and also to act as a wind break. 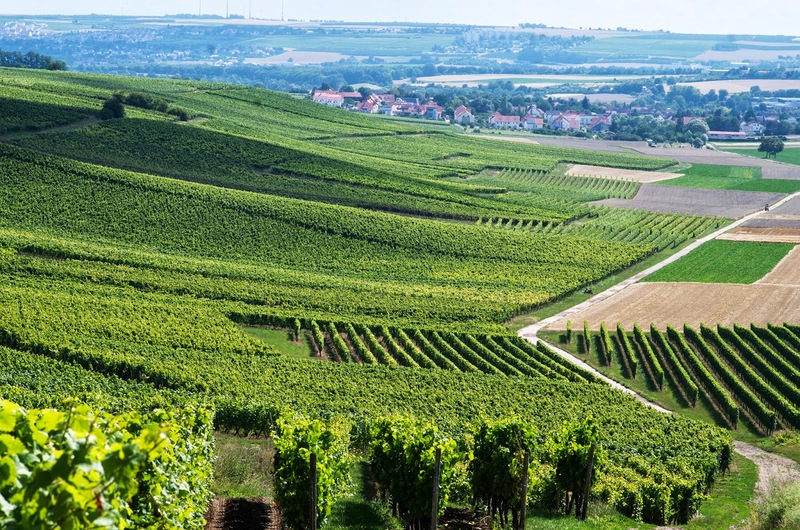 It is the site of some of the greatest German wines over the centuries; this is a monopole of the Staatsweinguter, who proudly call it "Germany's Clos Vougeot!" 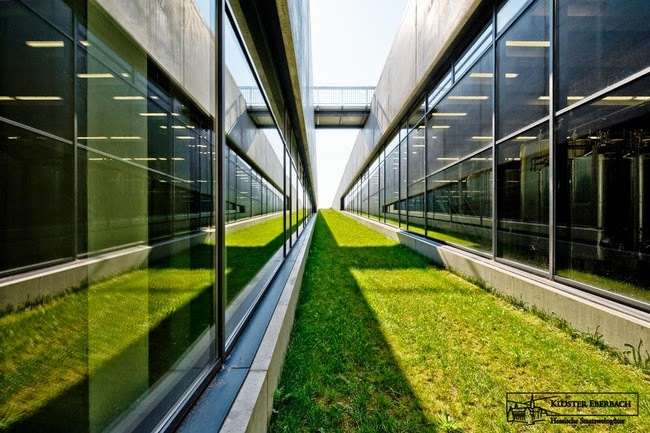 Adjacent to the vineyard is an architecturally stunning winery, one of the most up to date and beautiful in the country. A free tour of the winery is available and wisely, the proprietors hand you a glass of three different wines at various stops of the tour. Again, all of this is free - very nice touch! 2013 Steinberger Riesling Trocken - Aromas of apricot, yellow peach and lilacs. Medium-bodied with very good concentration. Good length in the finish, round and clean with very good Riesling character. Enjoy over the next 2-3 years. 2013 Wiesbadener Neroberg Riesling Trocken - Beautiful aromas of yellow peach, lilacs and a hint of tropical fruit (mango). Medium-bodied with very good varietal purity; very good acidity and a light minerality. Nicely made with very good complexity. Enjoy now or over the next 5 years. 2012 Rudesheimer Berg Schlossberg "GG" Trocken - Intriguing aromas of spearmint, peony and white peach. Medium-full with very good concentration. Rich mid-palate, very good acidity, light minerality. Lovely varietal purity and very appealing - this is quite dry and is delicious! Excellent to outstanding quality. Enjoy over the next 5-7 years - perhaps longer. 2011 Steinberger Riesling Spatlese - Very floral aromas with notes of yellow peach, magnolia and a hint of apricot. Medium-full with very good concentration. Light sweetness, with lovely balancing acidity and very good complexity. Lovely varietal purity as well as finesse. Excellent. Enjoy over the next 5-7 years. In the next post, a visit to producers in the Rheinhessen.